Since the start of this conversation, this (the title) has probably been the most interesting question for me. Is it enough for us to just have a better version of Coke, the less environmentally damaging one, or do we need to evolve to a future where Coke does not exist anymore? I am picking on Coke to stand as a symbol for consumer packaged goods, as it could be any number of products that have immense popularity and seemingly no real value to society. As the third largest consumer of aluminium in the world, Coke needs the earth to make its product, but it is currently treating aluminium in its income statement, not in its balance sheet. The consumption of aluminium for making its product is only treated as a cost item and it does not take into account the depletion of a non-renewable (or at least slowly renewable) resource. Could we get Coke to only sell its products in materials that are renewable, or at least from fully recyclable materials? Always the optimist, I think this change is likely, and that day might come sooner than we think as the C-level executive board is already in talks about how if they do not make these changes it could damage their consumer identity and thus sales. 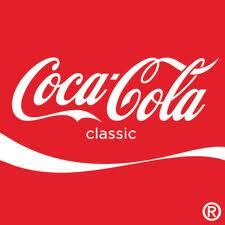 Coke is being sold throughout the world, it is consumed at lunch, dinner and even worse at breakfast. How did this happen? What is so wrong with water? We have developed a need for something beyond water at all of our meals and as a source of refreshment. The need for more choice, variety and ‘better’ has been placed in our minds my marketing over the years and it starts with ads targeted at children. These ads have manipulated us to believe we need something beyond just water to life a healthily life. And, in the case of Coke, there is really no good reason to drink it, there is nothing in the drink we cannot get from other sources and the rest of the drink provides little to no value and most would argue it destroys value. On this site we often talk about marketing being the problem; marketing is only part of the problem, it is the core business model that is allowed to exist that is the root of the problem. If we allow, through regulation and policy, for companies to sell products that have no benefit to human beings, then you cannot blame a bunch of marketing executives for chasing the carrot that the CEO puts in front of them. Although it has been popular in the last 20 years to remove government from the markets, these next few years they need to step back in and protect society. Coke and products like them are heroin for our society: they feel good in the moment, but days, months, years later it is clear that it is not a good idea. I am torn on whether the effort should be to remove Coke or make it more sustainable, and a case could be made that one answer could lead to the other; once we get a more sustainable version we could then move to removing it altogether. My gut tells me that we need to remove it altogether from society; we just do not need Coke. And if you want to make the argument of it being a great re-hydration tool in emergency situations, go for it, although I am sure we could find a way to replace even that use. It feels like this recent move to make stuff just more eco or social is just not enough for a category of products that are really creating no value for us in society. Our basic needs of water, food, energy, health, education, employment and human rights need to be re-engineered to be more sustainable — but if the product or service does not fit those needs, let’s get it out of our lives. I find several of your assumptions quite amazing. If we set aside a rather basic agreement – that thousands of people around the world who directly or indirectly earn income through the existence of coca-cola products will have a very different point-of-view to you when it comes to the ‘value’ coca-cola brings to society – we could examine what I feel is the most worrying implicit assumption in your post: That people (presumbaly you and people that think like you) are much better placed to inform people about what things they ‘need’ and what other things they actually only ‘want’. What that represents is a basic lack of faith in people’s ability to make responsible decisions, not to mention a really scary devaluation of liberty. Give consumers information, as much as possible let people evaluate things in a fair, open and transparent manner (i.e. save the doomsday hyperbole) and you might just be surprised how capable people are of acting in their own self-interest. Thanks Paul for your response, your views are welcome! All jobs are not created equal; and there have been times in history when it has been important to acknowledge that certain products and services are not worth employing people for. More recent examples include Tobacco, with older examples of the slave trade. While it is important not to restrict someones right to work, and as you state right to choose, it is important to ensure we are not allowing society to be degraded by the quickest buck available. For the vast majority of people Coke does not represent that today, I agree, I am suggesting that the time will come shortly where we no longer see ‘Coke’ and products like it in such high regard. To bring that time closer and sooner, I am bringing people’s awareness to the trap they are facing by either consuming or working for such a company. Likewise, the invisible hand, sometimes needs to be a bit more visible in the markets. I am a huge believer of consumer choice and transparency, although we are just not there yet on a ton of dimensions. Over the last 20-30 years policy makes have become puppets to the big corporates. The type of policy and regulation that I state above could move us there sooner and give the consumers back the knowledge they need to decide. For example, would Apple be as popular if they had to list the number of suicides from their plants on each product? An extreme example maybe, but this type of transparency is needed for the consumer to act in their own self-interest. Our western civilisation was built on sweet tooth. Sugar trade had a direct link to slave trade. There were slaves on both sides – users who couldn’t resist and also slave work-force who “couldn’t resist” eighter. I guess your thoughts are based on the idea that marketing is here to pass some noble message or change behaviour of the buyers for better. That is same wrong starting point as expecting designers always aiming to create better world with no bad thoughts about aiming for profit in the first place. It is great if marketing or designers can come up with some noble cause but in 99% it is not a case. It is mostly about selling the product -> making profit. What is worse – there were some advertising campaigns for drinking water from the tap – in some banana republics in Central Europe – but the reason was not to make people aware of drinking more water but rather cynically spending taxpayers money to give work to friendly agencies to deliver sub-standard adverts for mega-money and lounder some cash for the next elections. As I do a quick scan around the room, I see many items that don’t meet your notion of our ‘basic needs’: A guitar (where is culture on your list? ), a fancy stand mixer (used to make nutritionally vapid cakes!) a designer shirt (on the back of this post’s author), a hunk of beef defrosting (tonight’s organic, local, but not-necessary-for-proper-nutrition dinner), innumerable toys (of questionable educational value)….. I could go on (and on), but I would rather point out the product, exponentially bigger than Coke, or Apple for that matter, that has a questionable environmental, employment and political record, and has all of the health and social problems that you attribute to Coke… COFFEE. The difference is, of course, that when we think of Coke being consumed, it is by poor kids at breakfast, and when we think of coffee, it is us, wishing that the line-up would move faster at Starbucks. “Necessary for basic needs” is a slope so slippery, and so subjective, that it smacks of judgement by a navel-gazing ruling class. Full disclosure? Absolutely! Limiting the role of corporation’s influence on Government? Hooray! Deciding what is “necessary”? No thanks. Love the site…..I’ll be a regular reader!